There’s not one, but two big events happening this weekend in Destiny 2. First is of interest to players who haven’t picked up Forsaken yet, and that’s the Destiny 2 Gambit Free Weekend. Forsaken players already have access, but if you got Destiny 2 free with PlayStation Plus this month, or just haven’t purchased the expansion, you can hop in and experience the unique PvP/PvE hybird mode all weekend long. Better check it out fast though, it will only last for two days! For all Destiny 2 players, including those who own Forsaken, there’s a Crucible double Valor weekend happening until the next weekly reset. This means that all Crucible rank gains, known as Valor, will be doubled until Tuesday morning. It’s especially helpful if you’re after the pinnacle Crucible rewards like Redrix’s Broadsword, a gun that requires you to reset your Valor rank five times, among other things. The first Iron Banner Crucible event of Season 4 is running right now as well, and the double Valor gains apply to all Crucible playlists, so no matter how you choose to compete, you’ll be well rewarded for taking the time to do it this weekend. We recently released our full scored review for Destiny 2: Forsaken, but changes and updates continue to happen as Bungie evolves their living-world shooter. Will you be participating in either of these events this weekend? 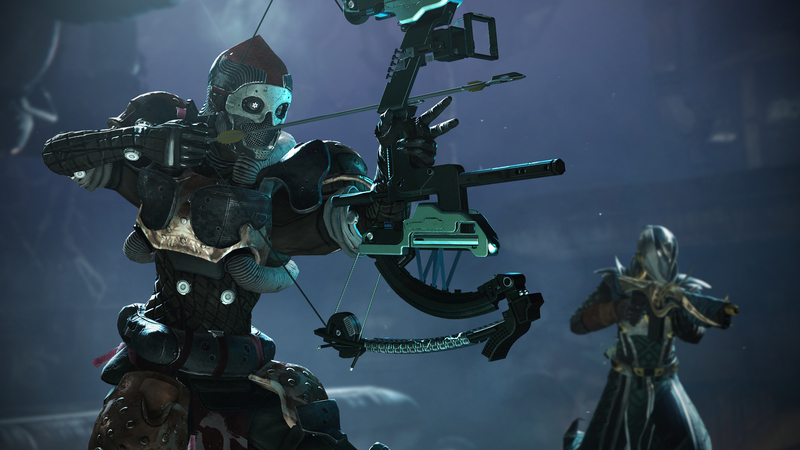 If you’ve already purchased Forsaken, what do you think of Gambit and everything else that the new expansion brings to Destiny 2? Let us know your thoughts in the comments below.